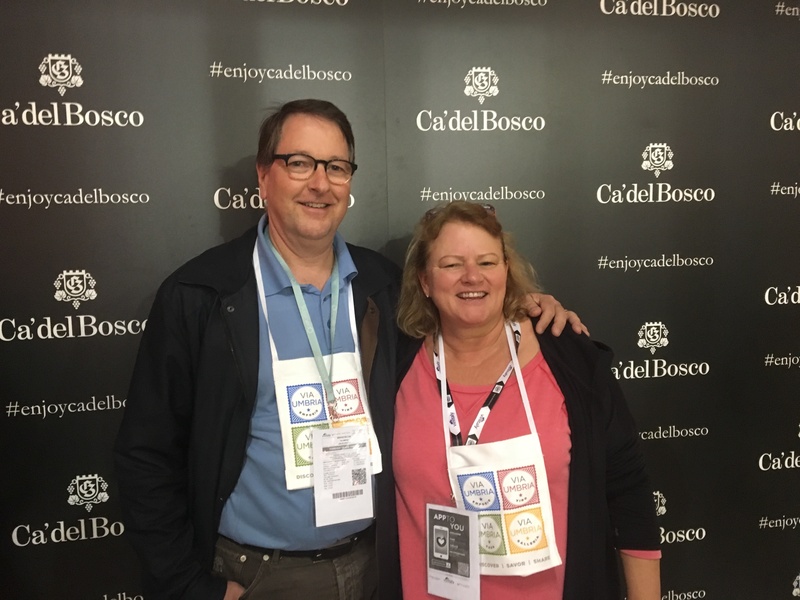 This past April on a trip to VinItaly, Suzy and I snuck off for a day to indulge our sweet tooths with a tour with two of our favorite Panettone producers—Loison and Filippi. One step (or really one sniff) inside the baking facility at Loison and we knew we had made the right choice. Even during their off season, a time when there are no ovens on, no cakes baking, and no ingredients in sight, the entire factory smelled like sugar, butter, and fluffy, decadent cake. We wandered around the production line—looking at the giant (seriously huge) stand mixers where they carefully mix the panettone dough, coaxing the ingredients to combine together in just the right way to create the light, airy cakes, the enormous ovens that bake hundreds of carefully handcrafted cakes at a time, and the inventive machines that flip those cakes upside-down straight from the oven to keep their shape. If you’ve never seen the process I definitely encourage you to take a look—it’s pretty incredible. And for those of you who have ever had any doubts about whether or not the Italians are some of the most thoughtful, patient, and purposeful people on the planet take my word for it- one bite of a perfectly baked Panettone is all you need to change your mind. In addition to the attention to detail during the baking process two other aspects of the production of the Panettone really stood out to me. The first being the pride that emanated from the bakers at both facilities as they walked us through each flavor of Panettone they were preparing to make for this holiday season (between 20-35 each) and exactly where every single ingredient in each of those cakes was sourced. Single origin chocolate drops from Domori, untreated Madagascar vanilla beans (and never any artificial flavors), free range eggs, figs from Calabria, Lemons from Sicily and fresh milk delivered every day during the baking season; each ingredient is carefully selected for it’s quality of production and taste to create the perfect marriage of flavors for each cake. As the Pastry Chefs at Filippi say “Just as in an orchestra, to create a symphony, every instrument has to be in harmony with the whole, so it does not suffice that every ingredient is good on its own. Each ingredient has to amalgamate well with all the others…” Each year they revisit the flavors of the year prior, sampling dozens of varieties of fruits, nuts, and honeys, ensuring that their cakes are always created using the just the ideal balance of flavors and ingredients. The second aspect that the Pastry Chefs at both Loison and Filippi were quick and proud to point out is that each one of their cakes is hand wrapped in paper and tied with a bow. Out of context that may not seem like a big deal but when you think about the thousands of cakes being produced every Christmas and the intricate and precise wrapping each of these cakes is adorned with you really start to get a sense of the magnitude of this process. And the result is spectacular—3as they said at Loison “The result is a product that is more than just a baked good: it’s also a gift, a furnishing item and a piece of art.” It’s clear in speaking with them that there is no detail of the panettone making process that is overlooked and the result of all of that effort and attention to detail is the essential (and most delicious) emblem of the Christmas holiday. Don’t just take my word for it though- come see and sample for yourself! On July 25th we’ll be celebrating Christmas in July- we’re so looking forward to the holiday season that we can’t possibly wait any longer. Stop by our market and taste samples of this year’s spectacular concoctions, see that intricate and delicate paperwork and ribbons adorning these beautiful parcels and pre-order some of your favorites. 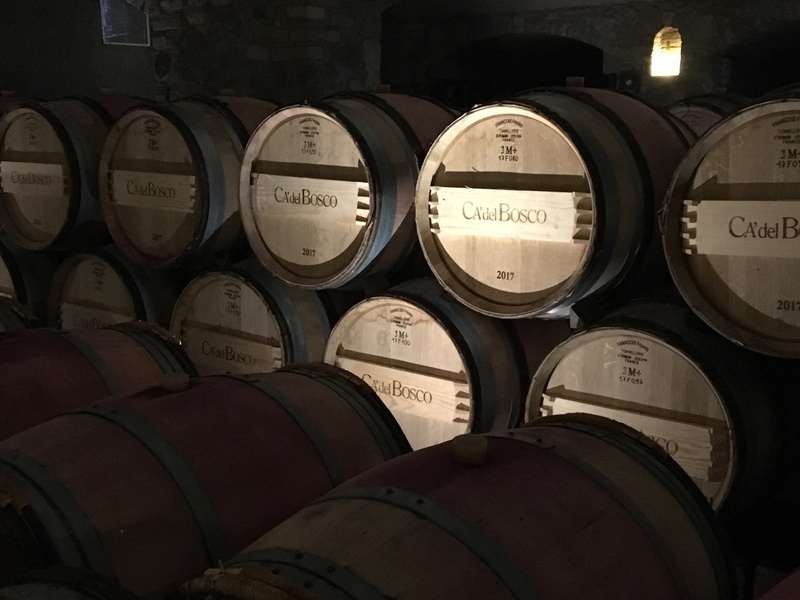 This holiday season we reprise the following post which we filed after our visit to Franciacorta in April 2018. 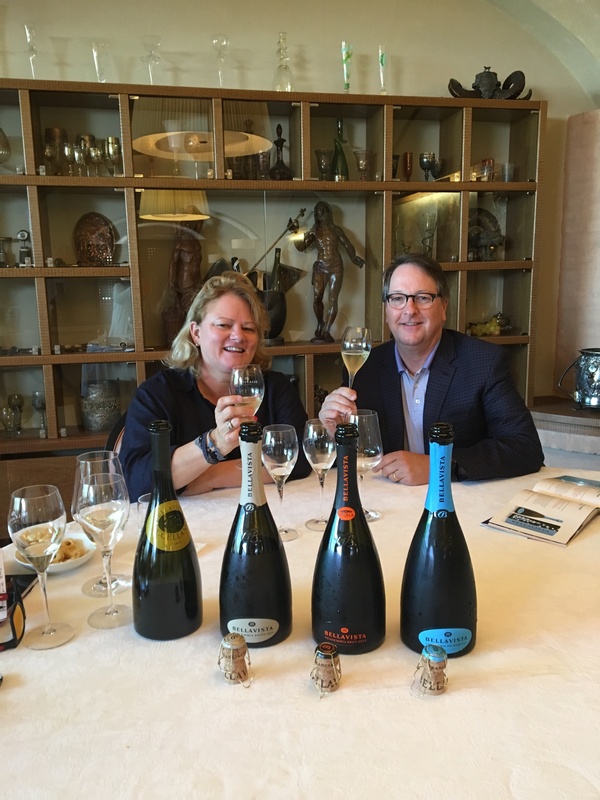 On that trip we fell in love with franciacorta, Italy’s emphatic answer to champagne, and dedicated ourselves to spreading the word about what we consider to be the most delicious sparking wine available anywhere. Whether you’re celebrating Christmas, Hanukkah or New Years, we can’t imagine a better way than by popping the cork on a bottle (or more) of franciacorta. If you are curious, stop by Via Umbria. We have the largest selection of reasonably priced bubbles in the DC metro area. It’s not champagne. It’s franciacorta. And it’s definitely not prosecco. 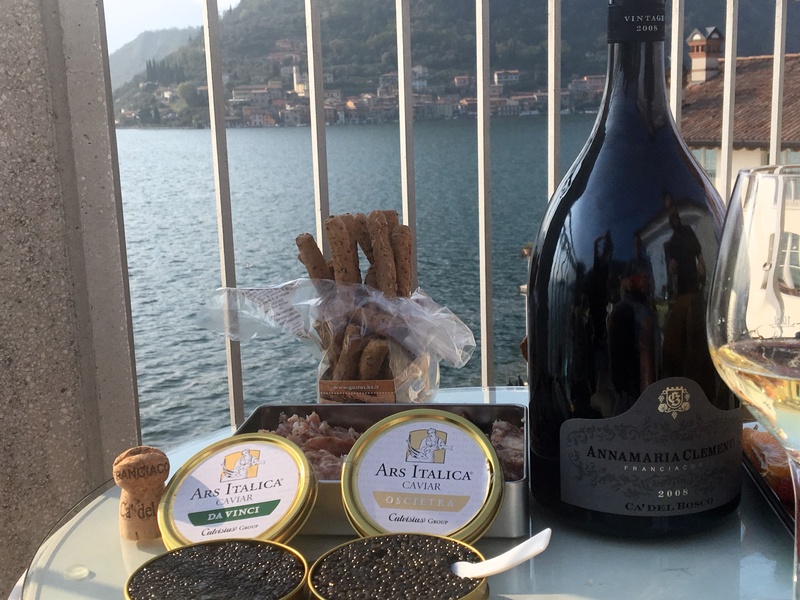 What is franciacorta? In a word, franciacorta is delicious. 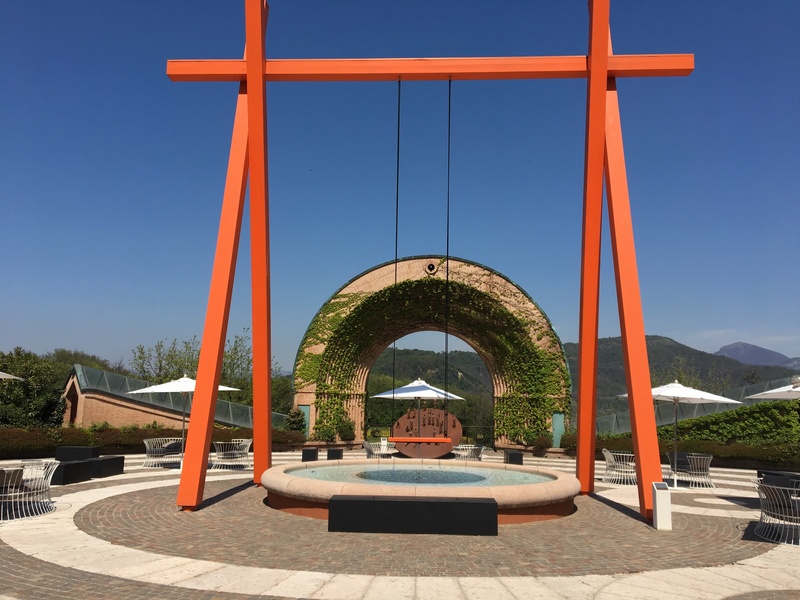 Following four memorable days in Verona last month, we spent four glorious days in Franciacorta, unpacking our bags at the lovely Hotel Rivalago located, as the name suggests, on the shores of Lake Iseo. One of the lesser known lakes in this, Italy’s lake district, Iseo is a stunning backdrop that forms the northern boundary of Franciacorta. The mountains that surround the lake create a unique microclimate that, paired with the area’s poor rocky soil render the area unfit for growing much of anything. Execpt, to our good fortune, grapes and olives. Until 1961 Franciacorta labored under relative obscurity, known mostly as a lovely weekend escape for wealthy Milanese and an area of good but unremarkable white wines. 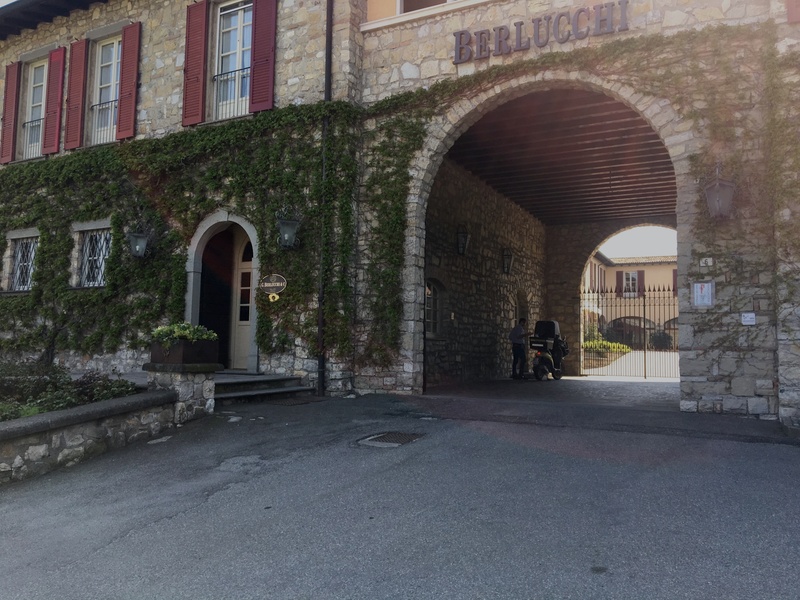 But in 1961 one of those wealthy residents, Guido Berlucchi, seeking a way to improve upon his modest local white wines decided to reach out to winemaker Franco Ziliani who posed a fateful question to his new partner. 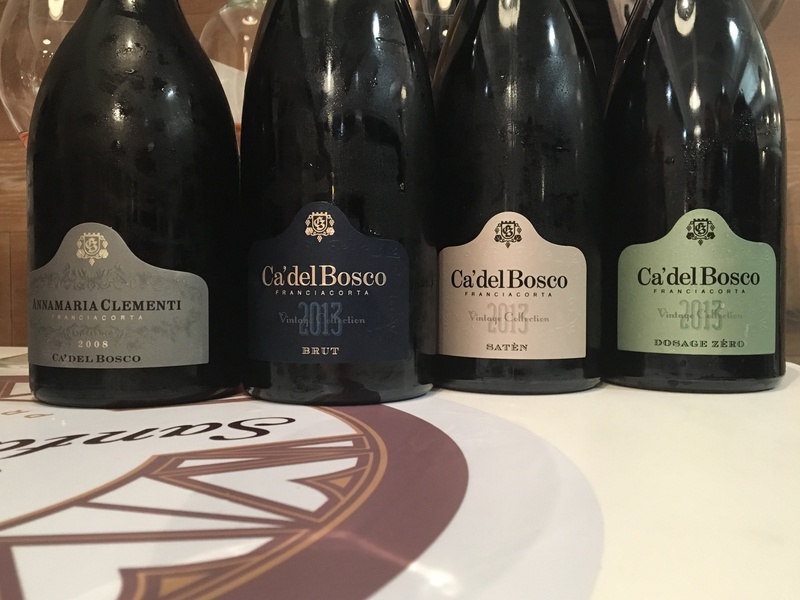 “What if we were to make a sparkling wine as the French do?” What was born from that question was franciacorta, and today nearly 200 producers annually riddle by hand and machine 17 million bottles of Italy’s best sparkling wine. 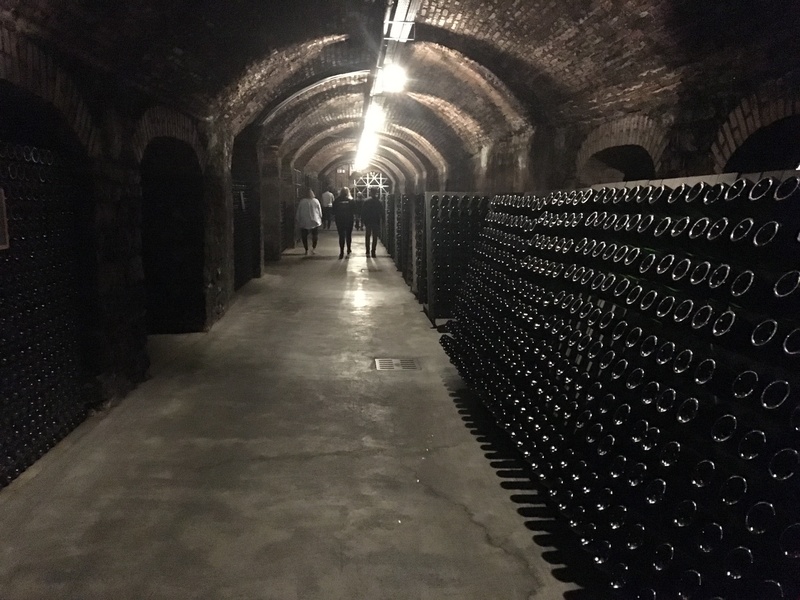 Compared with the over 300 million bottles of champagne produced in the eponymous region in France, the growth of franciacorta (the name has nothing to do with France but instead was the name given to this middle ages tax free trading zone) has been remarkable, establishing itself as one of the world’s premiere sparking wines in just fifty years. Much of that no doubt has to do with the fact that it was championed and promoted from its beginnings by some of Italy’s most influential, fashionable and cosmopolitan families. 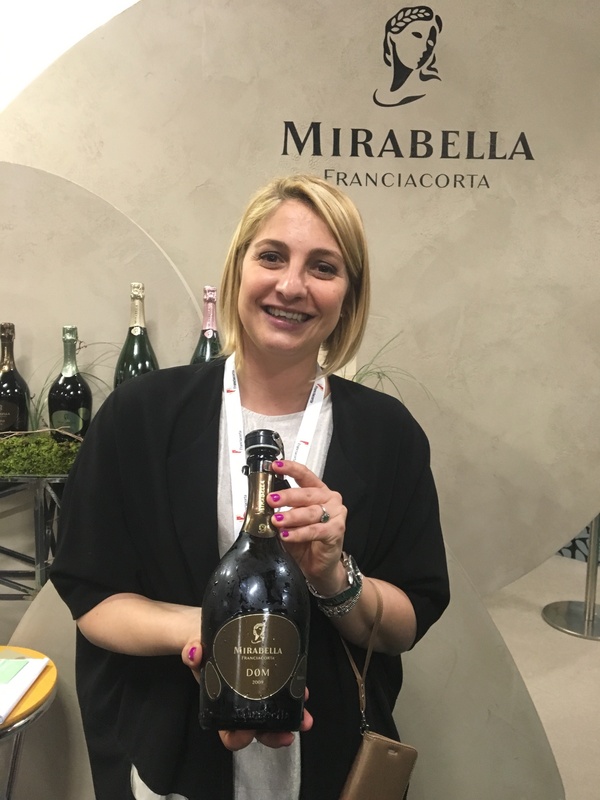 Today people love drinking franciacorta as much for its silky, seductive taste as for its elegant packaging and branding. On our visit to the region we got to experience first hand just how elegant and personal the winemakers’ hospitality can be. 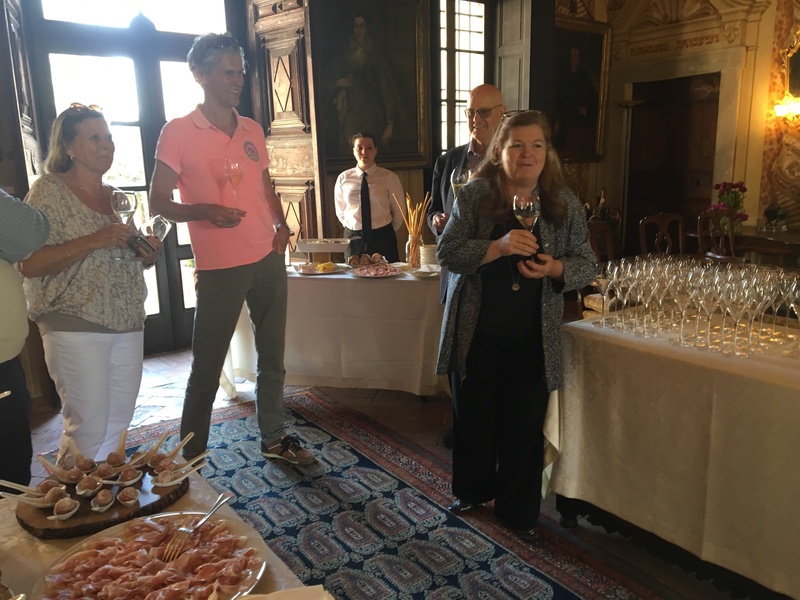 We were treated to a tour of the Berlucchi winery, where franciacorta was invented, by none other than Cristina Ziliani, daughter of the original winemaker, enjoying Berluchi’s 61 franciacorta brut and saten in the ancestral home of Guido Berlucchi. 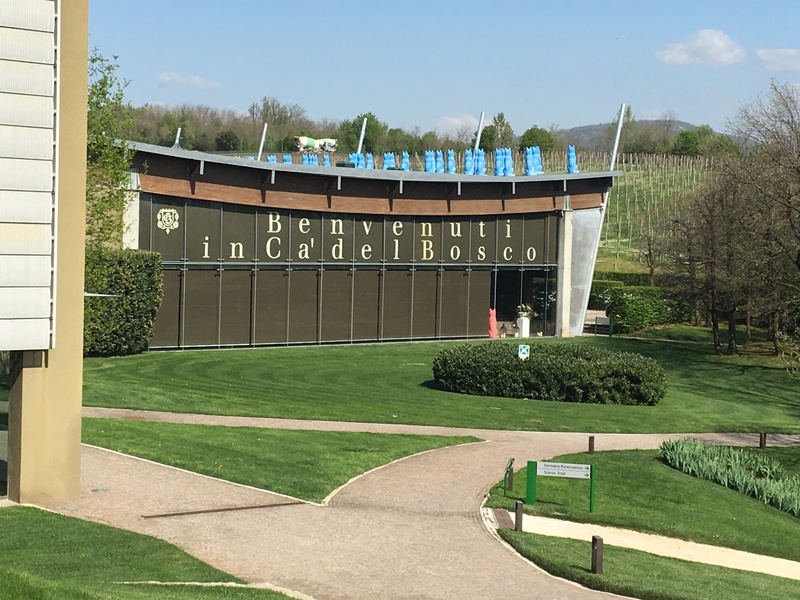 Ca’ del Bosco, one of the most recognized names in Franciacorta introduced us to the area with a tour of their winery and treated us to a memorable lunch at the spectacular il Priore restaurant overlooking the vast and stunning Franciacorta landscape. At Bellavista we were not only treated to a visit to a winery that could just as easily double as an art museum and a private tasting that was among the most elegant we’ve ever enjoyed, we experienced a homecoming of sorts for our lunch at l’Albereta, a relais et chateaux property one of the finest Italian resorts we’ve ever stayed at. If you haven’t read of our memorable visits there, check out our blog post. By now you should be getting the picture. Franciacorta is a region and a type of wine. But no matter what you mean when you utter this magical word, it is elegance and beauty personified, offering a sense of wellbeing that we find so often when we travel to Italy, but which comes so easily and automatically in this unmatched corner of our favorite country. We look forward to experiencing it over and over on future visits to Franciacorta and to sharing it with our customers through special dinners and wine tastings. Come join us and enjoy franciacorta with us. Just be sure to not call it champagne. How’s this for a win-win (or wine-wine) situation: join us at one of our upcoming winemaker dinners—we’ve got three scheduled over the next month and a half—and in addition to a delicious four-course dinner paired with incredible wines hand-selected by the winemaker him/herself, you might just end up the lucky winner who joins Bill and Suzy on their Spring 2019 Food and Wine Tour! Here’s how it works: (1) Join us for one of our three Winemaker’s Dinners featuring the wines from Umbria, Veneto and Friuli, (2) enjoy an evening of fine food and curated wines, all inspired by our favorite wineries in each region and (3) take home a case of that evening’s featured wine. That’s it! Talk about a no-brainer. Join us for an evening of great food and wine and a chance to spend time with the winemaker and you might end up joining us in Italy next spring. 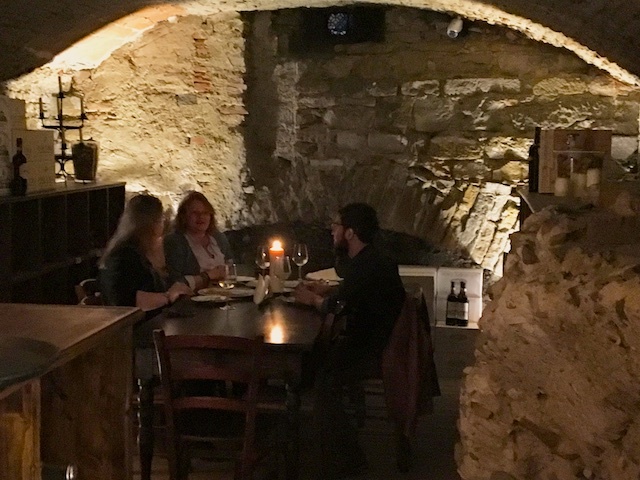 And just to whet your appetite, check out the highlights of our recently completed food and wine tour. See you around our chef’s table. And see you in Umbria! The popular song proclaims “I love Paris in the springtime.” You’ll get no arguments from me for I, too, love Paris in the springtime. But I really, really love Italy in the spring. And not just Italy—Florence. Thankfully, our yearly travel schedule takes us to Italy each spring. 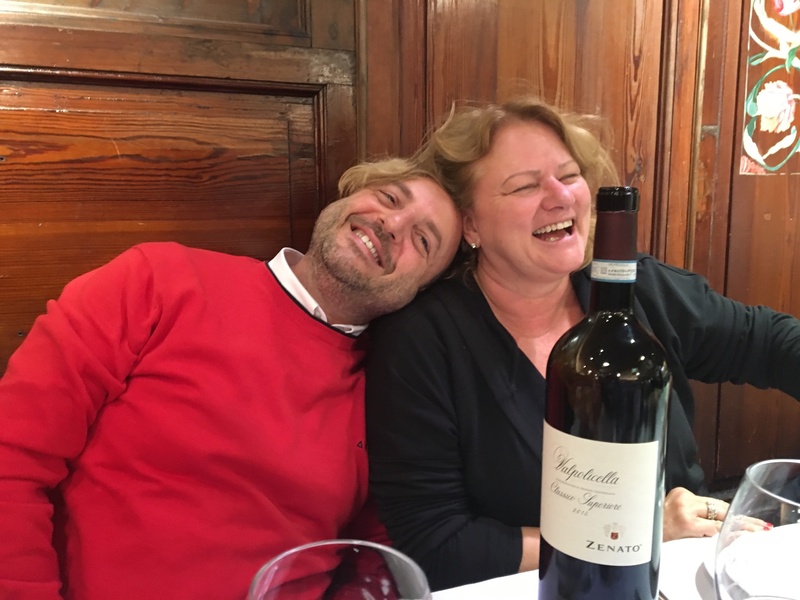 This is the time when Suzy and I host week-long Umbrian Food and Wine tours, each one an opportunity for eight lucky foodies to experience the special world we have discovered and nurtured in Italy. Our guests join a community of food and wine producers who are eager to share their passion. 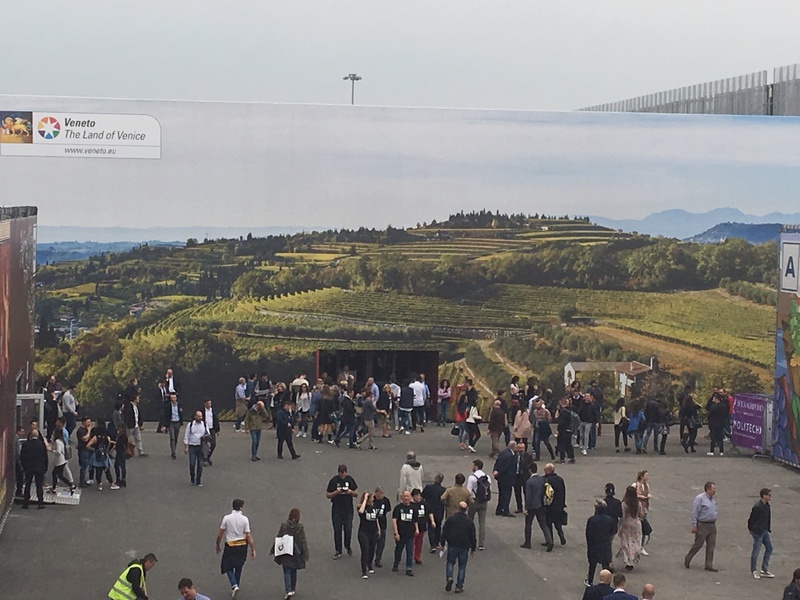 For the past several years we’ve concluded our spring trips in Verona to participate in VinItaly, the largest annual expo of Italian wine producers. There, we sip, spit and schmooze, learning about Italy’s hundreds (if not thousands!) of indigenous grapes and meeting the incredible producers who work with them. 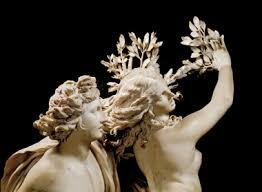 And so each spring—on the way from Umbria to Verona, or Verona to Umbria—we stop in Florence. It was where we got our first taste of Italy, and it was here that we fell helplessly in love with her. Now, it’s where we renew our vows with Italy. Short as they are, our Florentine pilgrimages remind us of so many aspects of this incredible country that we originally fell in love with as we stroll the historic streets of this birthplace of humanism, bathed in golden sunshine and cooled by the soft, crisp springtime air that wraps itself around us like a cool down comforter on a chilly winter night. In this birthplace of the renaissance, where civilization was reborn six centuries ago we are lifted by a different kind of rebirth, the annual rebirth of life as the languorous rhythm of spring softly delivers us from the cold, bleak winter and reminds us of the joys and beauty of nature. 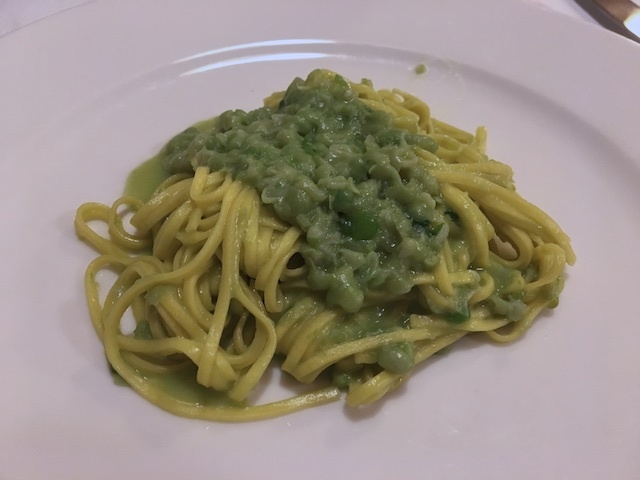 We taste it in the fresh, spring peas that play the starring role in a spaghetti ai piselli we always enjoy at lunch at Buca dell’Orafo upon our arrival in Florence. We feel it against our skin as we meander along ancient vias, oblivious to the crowds of tourists that do not hear the voices that are speaking to us. 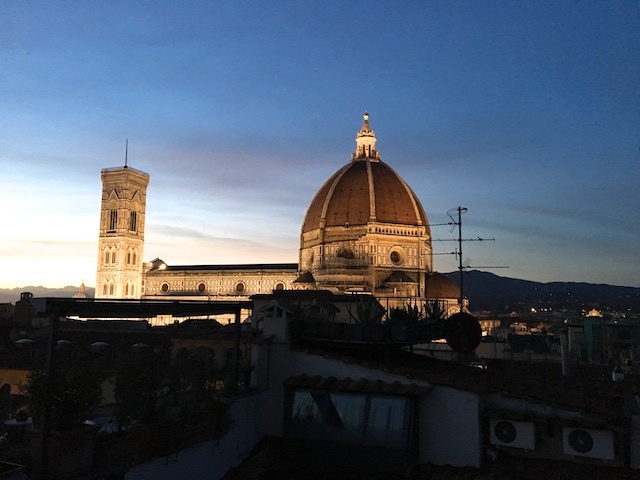 We experience it from a rooftop bar in the late afternoon, enjoying an aperol spritz as we take in roman, medieval and renaissance Florence. 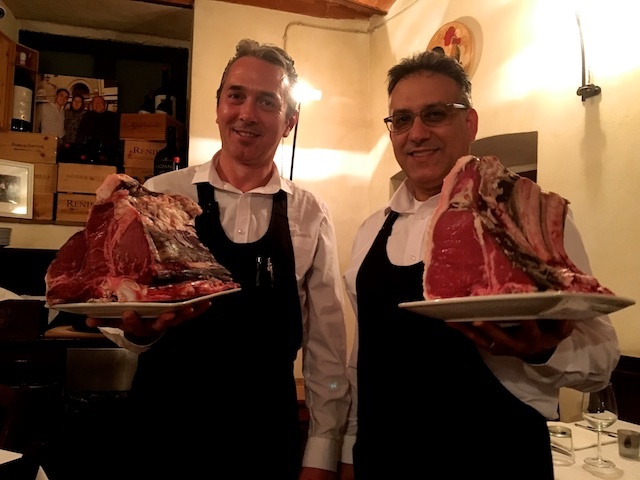 It’s there as we seat ourselves at a table set atop the ruins of an ancient amphitheatre, where we tuck into an enormous bistecca alla fiorentina and wash it down with a wine that proves that the whole can indeed be greater than the sum of its parts. It was in Florence where we were first overcome by all the beauty and contentment that Italy has to offer. And what a place to start, because all of Italy can be found there. Art. Food. Weather. Pace of life. Warmth. Style. Humanity. Those on a mission can charge right past it, oblivious to all. Not see the marker halfway up the exterior wall of a palazzo announcing “here is where the waters arrived during the great flood of 1966. Yes, here!” Not hear the opera music drifting from an apartment window, echoing off the walls of the medieval streets. Not smell the baking of bread or roasting of meat. It was here that we learned not just how to taste but how to enjoy the act of tasting. What we have tasted, and what we taste every time we visit Italy is not just food and wine, but life. 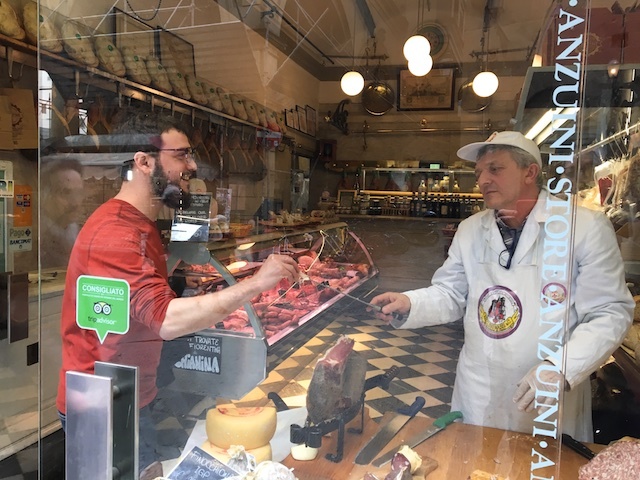 For Italy is comfort food for the soul, engaging not just the senses but satisfying all of our basic human urges—aesthetic, artistic and intellectual—as well as those of sight, sound, smell, hearing and taste. To enjoy it fully you must slow down, you must breathe deeply and allow Italy to come to you. When you do, you will feel her wrap herself around you, envelope you, become you, as you become it. Transforming you and transporting you, protecting you and providing for you just as Daphne was when she was transformed into a tree. 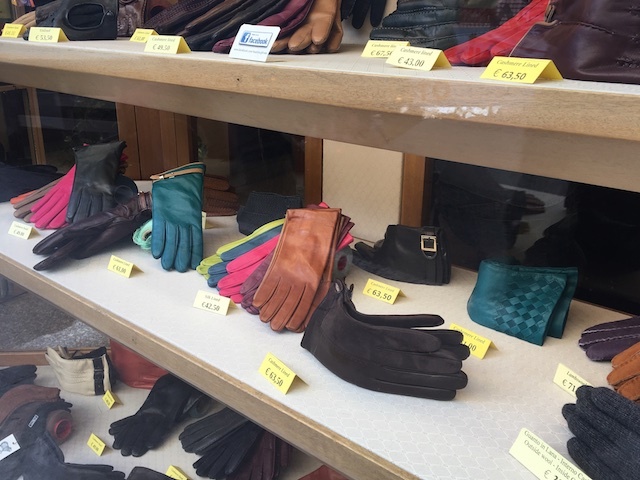 On our earliest trips to Florence we always made a stop at the Madova glove store, a tiny hole-in-the-wall shop at the end of the Ponte Vecchio. There, animal hides have been being transformed into works of art and style for generations and we always felt the urge to bring home some pairs for us and to give as gifts. On this spring return visit, this pilgrimage, it felt only right to cross the bridge and to take another look at this icon of Florence. Not to buy anything, but just to look and say thank you. For just as Madova gloves transform the quotidian and create something that wraps itself around you with beauty, comfort and style, making your life momentarily better, so does Florence. So does Italy. During our brief visit to Florence we slipped on Italy and the fit was perfect.